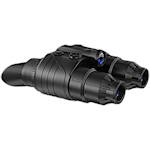 Pulsar night vision binoculars are manufactured with the professional individual in mind. Built on a mil-spec platform, Pulsar provides advanced night vision products for military, law enforcement & consumer applications. Pulsar strives to provide consumers with the latest innovations in technology with the highest quality. Pulsar Accolade Thermal Binoculars deliver extremely high resolution images of objects that emit LWIR (Long Wave Infrared) signatures. Integrated Wi-Fi features let you stream photo and video in real time even to smartphone via the Smart Vision app. A 50Hz refresh rate ensures smooth viewing in any application. 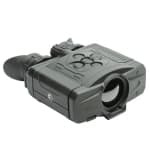 Pulsar Edge night vision goggles are dual tube units that are available in gen 1+ and gen 3. They are designed to be flipped up or down as an integrated unit.